I've been hinting that I've been planning a new addition for a few weeks now and so it gives me great pleasure in introducing him. 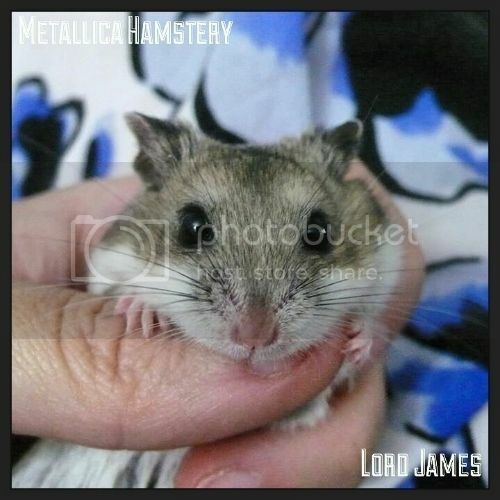 Meet Lord James, Earl of Metallica. He came from Vectis Hamstery and I went to pick him up from the Othery Show today. He's had a busy day so he's relaxing and getting used to his new surroundings but Vectis was kind enough to send me a photo of him that she took last night. I was able to hold him at the show and he's a lovely lad. I look forward to getting to know him and sharing his updates with everyone here. Enchanted to meet you Sir! You are an elegant and dignified young gentleham and... if I may say, a ridiculously smooshable little cutie pie!!! Your hammy mum and dad, plus your brother and sisters wave paws. Be a good boy for your new mum! Oh wow! He's lovely. I'm jealous. What better way to spend a Saturday, than at a show collecting hamsters! Well done Fluffagrams on acquiring such a beauty & well done Vectis on producing him! Look at that cute little pink nose!! I agree with Shannon, definitely a smooshable little cutie pie! 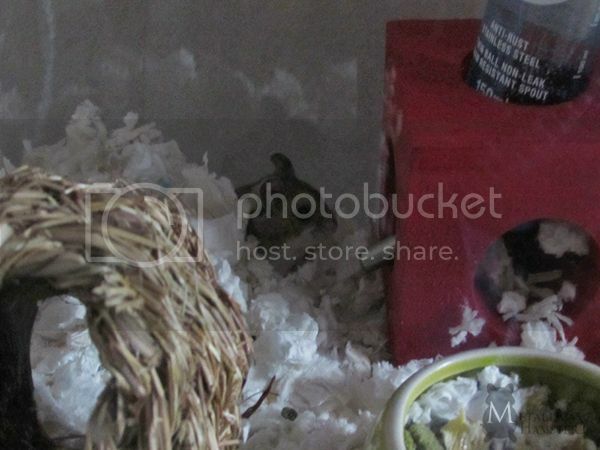 Hamster Mom to Axel McFluffypants who wears his Scottish kilt proudly. Really look forward to seeing more about the gorgeous little guy & hearing all about him as he settles in. @ Velma, I know how you feel, I'm so envious too! Oh he's gorgeous! Alert and cheeky looking and innocent and a lovely baby! I'm sure he'll settle in soon enough after a bit of a rest!